If you like me suffer from constant, painful pizza cravings at all hours of the day then what you need is brunch pizza. Yes that’s right brunch pizza. Pizza you don’t have to feel guilty about eating before noon. Not that I ever feel guilty about pizza... let’s be honest. But where is my go-to for brunch pizza you ask? Well that’s easy, Söderberg Pavilion. Most of us will recognise the name Söderberg for their many bakeries scattered across the city serving up fresh, delicious Swedish buns. The Pavilion is the bakery’s café/restaurant located on Lister Square in the Quartermile area. It is the perfect location for both a brunch in the sunshine or a hot coffee on a rainy day. The glass building opens up in the rare moments of sunshine, but still feels super cosy in the colder months (aka every month) due to its huge wood-fire pizza oven in the middle of the café. If you are a glasses wearer like I am expect some instant foggy glasses. But let’s get on to what you came to this blog for… the food. 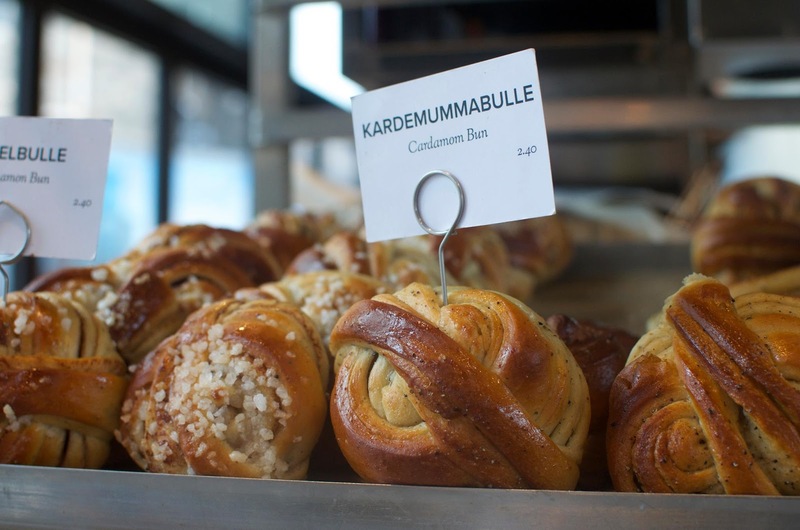 The weekend brunch menu is Scandinavian inspired with dishes like their classic kanelbulle and kardemummabulle (their cinnamon and cardamom buns) to smörrebröd (open sandwiches with delicious fillings). There are also some classic crowd-pleasers such as scones, yoghurt and granola, baked eggs and of course, waffles. One of their most unique items on this menu is their brunch share basket. The basket contains two sourdough rolls, a scone, two mini chocolate muffins, Swedish crispbread, charcuterie, Mull of Kintyre cheddar, butter, clotted cream and jam. For only £14 this is great value for money and a good option for when you're craving both a little sweet and savoury to start your day. Of course one of the highlights of the brunch menu for me is the sourdough pizzas. These are easily some of my favourite pizzas in Edinburgh because they really get both the base and the toppings just right. The sourdough comes fresh from the upstairs bakery and you can really taste its freshness. The pizzas are the perfect thickness, with that little bit of doughyness and a crisp exterior. Plus the toppings are exactly my cup of tea. You’ve got your classic margherita or ham, spinach, tomato and mozzarella. What sets this pizza menu apart are the crème fraiche based pizzas. White based pizzas are a big thing where I grew up in the South of France, the béchamel or crème fraiche base adds that little French element to classic Italian wood-fire pizzas. I’d consider Flamèche pizzas my all-time favourite (usually crème fraiche, lardons, mozzarella and caramelized onions). 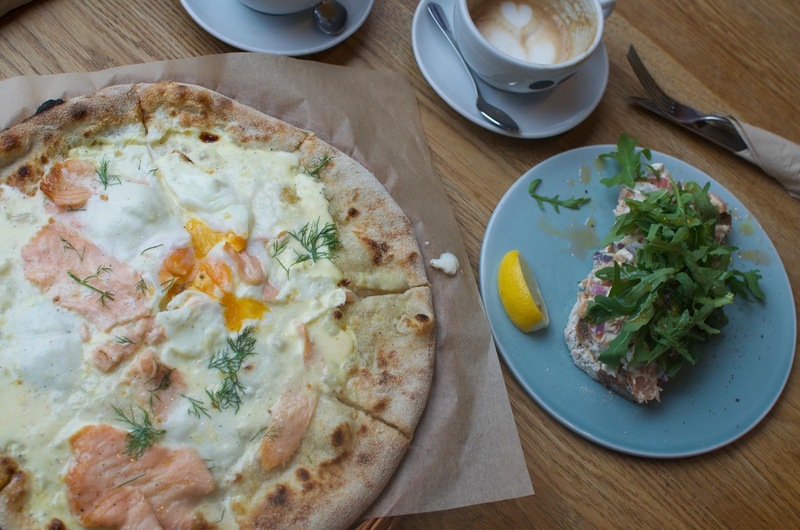 Soderberg’s brunch pizzas are the closest I have found to these in Edinburgh. I went for the smoked salmon, mozzarella and dill crème fraiche pizza which was so delicious. There is also a pancetta and onion for meat lovers or mushroom, spinach and parmesan options for vegetarians. Let’s be honest, they all sound so good. On our last visit, my mum ordered the smoked salmon with mayonnaise, crème fraiche, dill, capers and red onion smörrebröd (open sandwich) which was right up her street. A nice light, lunch-type option if you’re not feeling like going all out (like me with my brunch pizza). My dad ordered the baked eggs with jambon blanc and spinach on sourdough bread. A simple dish but really delicious as the bread obviously comes freshly made from their bakery. Make sure you save room for some dessert as the Pavilion also serves some delicious baked goods straight from its bakery. The selection can change but you’ll always find their classic Swedish buns. They also have a selection of cakes to choose from including cheesecake and brownies. 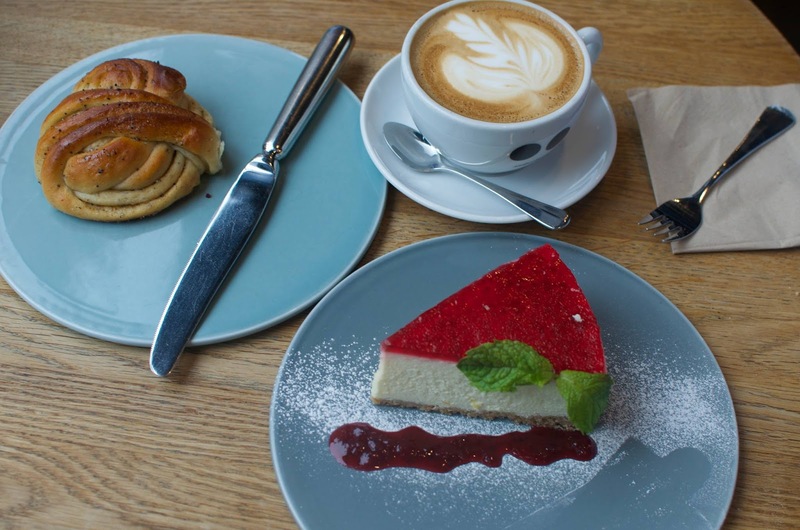 The Budapest cake (a meringue roll with whipped cream, hazelnuts and raspberries) and the Kladdkaka (a Swedish chocolate mud cake served with ice cream or clotted cream) are both on my radar for my next visit. The brunch menu is only available at weekends, but they serve lunch and dinner through the week with the lunch menu looking pretty similar to the brunch with a couple extra open sandwich options and more pizzas (more ‘traditional’ tomato based pizzas are available on this menu). I need to check out the dinner menu soon as it features some really unique dishes including ‘plockemat’ a nibbles selection that changes every evening. Find out more information and to see the Pavilion's full menu click here and to check out all the locations where you can find Soderberg’s amazing baked goods click here.